If you didn’t win our last Books & Coffee Giveaway we’ve got you covered. Here’s another chance for you to grab a good read and a new travel mug on us! “Lydia Smith lives her life hiding in plain sight. 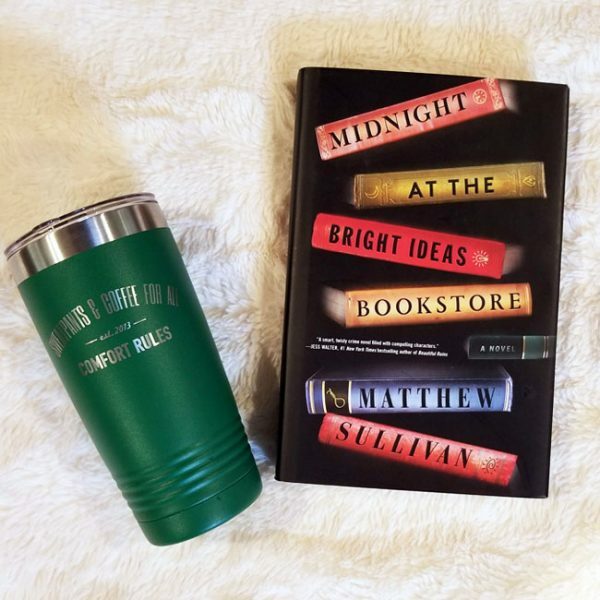 A clerk at the Bright Ideas bookstore, she keeps a meticulously crafted existence among her beloved books, eccentric colleagues, and the BookFrogs—the lost and lonely regulars who spend every day marauding the store’s overwhelmed shelves. Who doesn’t love a good mystery?! And you can also pick any color 20 oz Sweatpants & Coffee For All Travel Mug too!